Catherine Constance: Waiting. . .
What a wonderful thing to put on a card and even better to receive one. Gorgeous! Were is she flying to and which one? You have me intrigued... where is she going? 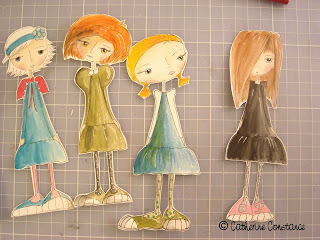 Catherine, these would make the most adorable line of licensed paper dolls! 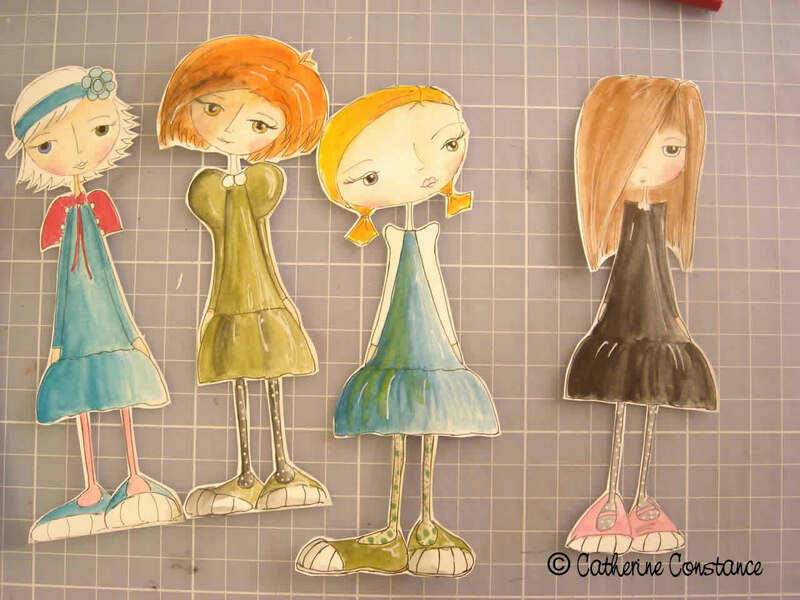 That's what I thought they were before I read the post and I thought- geez, I woud buy those paper dolls just for me even thought I am too old....and I would definately buy these as paper dolls for my little girls! Superbly well done. 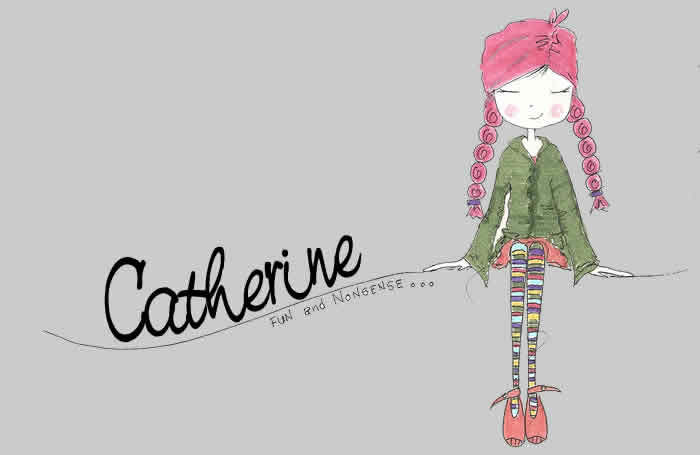 omg...these are little beauties so dazzling and adorable!You are so fab Catherine! !Each one is uniquely special and so enchanting! Your girlies are ever so sweet Catherine, just lovely! Oh so cute. Please show us where they end up adorning something. The little girls are absolutely beautiful!! You alway make them so adorable! Have a great day!! Hi, I just found your blog and I am so impressed with your little women (girlies). The personality they each have is adorable. I to am dysexic, but no one knew what this was, my mother always thought that because I was born premature, I would always be a little slower than other kids. I guess she failed to notice that in any class that did not require reading I excelled. I do not know if this is normal, but numbers never were a problem, as letter were my down fall. So as a child I always made A's in art and math, and I used my art to extra credit my way to higher grades in other classes. It's amazing how impressed teachers can be with maps, charts and drawings to go along with a C paper and bring it up to a B. Praise God for spell check and the use of thesaurus. Well, enough about that, This is about your blog. Love, love, love it! Your newest follower, Connie :). P.S. Please accept my invitation to visit and follow my blog. I so much enjoy the camaraderie with other creative women. wow to the lucky person that receives one of these on a post card! So cute. I can't decide which one I like best... I have had to keep an eye on my postcard because since I framed it a certain young miss keeps coming and stealing it for her room... took great pleasure in stealing it back today and re hanging it... she hasn't noticed yet!!! What characters! I like the variety you achieve with their expressions and their outlook on life. Lovely girls. I love their big shoes. They are lovely and whimsical. I also like the colours you've used, very fresh and bright. oh i’d love one to put it on my desk. that would make such a great little friend!